Authors: Gregory L. Holmes Solomon Moshé H. Royden Jones, Jr. This one-of-a-kind reference is unique in its exclusive devotion to the clinical neurophysiology of children. Written by a stellar group of recognized authorities, it blends classical electrophysiological techniques such as EEG, EMG, and nerve conduction studies with today's most cutting-edge methods, including magnetic stimulation and magnetoencephalography. The result is the first comprehensive review of all clinical neurophysiological techniques used to treat children with neurological disorders. This stand-alone text is essential to anyone performs or interprets neurophysiologic tests on children. Provides detailed correlations between clinical features and neurophysiological studies, as well as vital information on both common and rare neurological disorders. Includes practical guidelines on interpreting neonatal and pediatric EEGs. Details the use of magnetoencephalogrphy in the localization of cerebral function. Features intracranial EEG monitoring in the evaluation of children with medically intractable epilepsy. Explores the neurophysiology of language and behavioral disorders in children. Addresses intraoperative evoked potentials as a means of gathering subtle clinical information. Discusses the interrelation of DNA analysis and clinical neurophysiology in the diagnosis of chronic neuromuscular disorders of childhood. Examines the neurophysiological root of frequently encounter pediatric sleep disorders. Presents concise descriptions of the neurological disorders in which clinical neurophysiological testing is valuable. Organizes information in an easy-to-find, clinically relevant manner. Dr. Moshé is the is the Charles Frost Chair in Neurosurgery and Neurology and Professor of Neurology, Neuroscience, and Pediatrics at Albert Einstein College of Medicine. He is the Director of Child Neurology and Clinical Neurophysiology Dr. He has been President of the International League Against Epilepsy, American Epilepsy Society and American Clinical Neurophysiology Society (1996-1997). He is the recipient of several honors and awards, including Teacher-Investigator Development Award; Jacob Javits Neuroscience Investigator Award from NIH; Michael Prize for Achievement in Epilepsy Research; The American Epilepsy Society Research Award; Ambassador for Epilepsy Award from the International League Against Epilepsy; the Gloor Award from the American Clinical Neurophysiology Society; J.E. Purkyne Honorary Medal in Biomedical Research by the Czech Academy of Sciences; the 2008 Mentor of the Year Award from Albert Einstein College of Medicine; The 2010 Global and Awareness Award from Citizens United for Research in Epilepsy; the First Saul R. Korey Award in Translational Science and Medicine, Albert Einstein College of Medicine in 2012; elected Foreign Member of the Russian Academy of Sciences and Fellow of the American Epilepsy Society 2016. Since 1979, his research has focused on understanding the mechanisms underlying age-related differences in epilepsy in humans and in animal models. Dr. H. Royden Jones was Chair of the Department of Neurology at Lahey Hospital and Medical Center, Burlington, Massachusetts; Director of the Electromyography Laboratory at Boston Children’s Hospital; and Clinical Professor of Neurology at Harvard Medical School. Dr. Jones completed residencies in Internal Medicine and Neurology and a fellowship in neurological physiology at the Mayo Clinic. He served over 3 years in the United States Army as Chief of Neurology at 5th General Hospital, Bad Cannstatt, Germany. Dr. Jones was Board certified in neurology, clinical neurophysiology, and neuromuscular medicine. Upon completion of his training he joined the Lahey Clinic in 1972. In 1977 he also joined the neurology department at Boston Children’s Hospital, founding the electromyography laboratory in 1979. Pediatric EMG became his major clinical research interest. 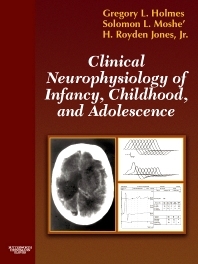 Dr. Jones was co-editor of three major textbooks on childhood clinical neurophysiology and neuromuscular disorders. He was a co-founder of the biennial International Paediatric EMG Conference based at Great Ormond Street Children’s Hospital, London, England. Recognized as one of the top neurologists in the U.S., Dr. Jones was an author and editor of several Netter publications including two editions of Netter’s Neurology, The Netter Collection of Medical Illustrations: Nervous System, Volume 7, Part I (Brain) and Part II (Spinal Cord and Peripheral Motor and Sensory Systems), 2nd Editions (volumes in the Netter Green Book Collection). Dr. Jones authored and edited several other Netter publications and contributed over 200 peer-reviewed papers and book chapters. Dr. Jones served 8 years as a director of the American Board of Psychiatry and Neurology, becoming Chair of its Neurology Council in 2004. In 2007 he received the Distinguished Physician Award from the American Association of Neuromuscular and Electrodiagnostic Medicine. Lahey Clinic’s Medical Staff Association recognized Dr. Jones in 2010 with its highest honor—the Frank Lahey Award for “commitment to the values of Dr. Frank Lahey: respect, teamwork, excellence, commitment to personal best.” Dr. Jones was named Outstanding Teacher in Pediatric Neurology 2012 – 2013 by the Department of Neurology, Boston Children’s Hospital, Harvard Medical School. He also received an award in recognition of his many years of dedicated teaching at Tufts University School of Medicine.